We were invited as part of a BMT team to submit a proposal for an innovative artificial intelligence project after designing a prototype at a Ministry of Defence (MoD) hackathon last year. The UK Ministry of Defence hosted a two-day hackathon, bringing companies from industry together to see whether four challenges could be tackled using innovative new artificial intelligence (AI) solutions. The MoD was interested in exploring how artificial intelligence could address some of the biggest challenges: “identify socioeconomic disparities between veterans and the general population”; “flag suspicious ship behaviour from tracking data”; “automatically generate raster maps from satellite images”; and “facilitate greater efficiency of resource utilisation from HR data”. 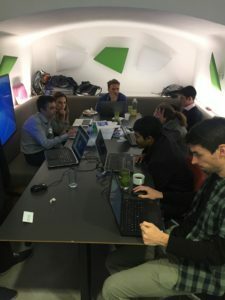 These challenges were given to data scientists and machine learning engineers – including some from BMT – in the basement of Geovation’s London hub in November last year. 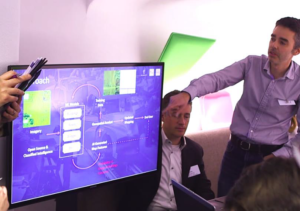 The UK Ministry of Defence was hosting a two-day hackathon, bringing companies from industry together to see whether four challenges could be tackled using innovative new artificial intelligence (AI) solutions. Time was tight, so as problem owners from various parts of the MoD finished presenting their problems, we began setting up our laptops and forming teams in which we would prototype our ideas. As this was my first hackathon, I wasn’t too sure what to expect from it. Over twenty companies were present with up to three people attending from each and the estimated team size was around ten people; among the data scientists and programmers there were also UI designers, web developers, and analysts or stakeholders who could bring specialist knowledge on each of the problems. BMT’s team consisted of myself, Gareth Williams, and Antony Waldock, with varying levels of expertise in machine learning, from my eleven months’ worth of self-taught online courses to Antony’s PhD and extensive industrial experience. We teamed up with three other companies: Qumodo, Deimos Space UK, and Decision Lab, choosing to create a machine learning solution that rapidly generates raster maps from raw satellite images. Military personnel often work in remote or underdeveloped areas which lack up-to-date or accurate maps, and in such cases analysts generate maps with labelled features – roads, buildings, and so on – from satellite data. This is vital work but is also unfortunately a slow process, and the MoD believed that a machine learning approach could fast track the process of getting maps to personnel on the ground once satellite images have been acquired. Qumodo in particular is a company that focuses on human-AI interaction, and we were really interested to try fusing our knowledge of traditional machine learning algorithms with their research, creating a system that keeps the geospatial analysts in the loop to massively accelerate the mapping process without compromising quality. Our focus was that our AI would be capable of integrating seamlessly into the analysts’ workflows, providing feature suggestions based on what it sees in the image, which can then be either confirmed or corrected by the analysts. As well as speeding up the work the analysts do, this automatically incorporates new training data into the learning process. As the hackathon drew to a close and the teams gave overviews of their ideas in snappy four-minute presentations, our “Rapid AI Mapping” idea was recognised as one in which there was a high interest in taking forward so hopefully we will be able to formalise it into an active project in the future. There were loads of fascinating and new ideas thrown around over the short two days – with such little time we could only produce a mock-up of the analysts’ UI rather than a fully-fledged prototype – but it nevertheless highlights the fast pace of the AI industry and how useful these events can be in fostering collaborations between companies and generating innovative solutions. As such, it was a great privilege to be invited to partake in the event and I’m looking forward to any opportunities I might get to do it again in the future. Welcome to the BMT Reality Studios blog. 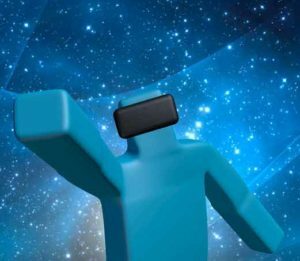 You’ll find posts from our developers and artists about what we’re working on here.